The Liberty French Romantics 3 in. Venetian Bronze New Traditional Pull adds a warm, elegant accent to your kitchen. Enhance your style and complement your surroundings. The pull installs easily with the included hardware. The Liberty 3 inch Venetian Bronze with Copper Highlights Square Foot Pull adds elegance to traditional-style cabinetry and furniture. It features a center-to-center design for easy installation. The metal base material is crafted for endurance and comes covered in a bronze finish. 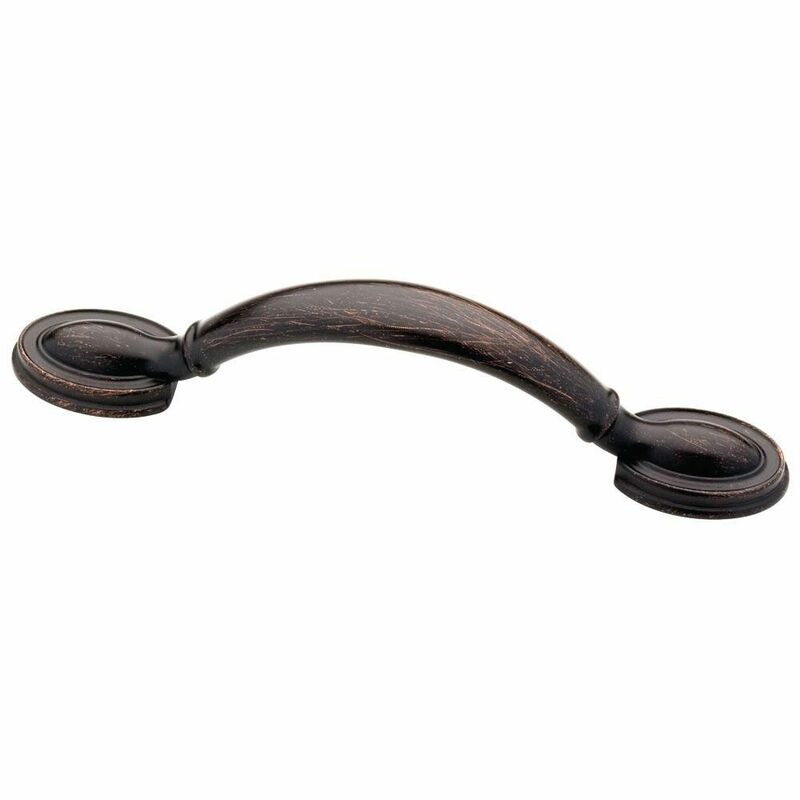 From Liberty Hardware, the Angevine Pull features a flat bar pull, with an artistic scroll design, and framed with two elegant feet. This Pull will add that extra detail special detail and warmth to cabinet hardware and furniture. Crafted from die-cast zinc for long lasting quality and durability. Installation hardware is included. 3 in. New Traditional Pull The Liberty French Romantics 3 in. Venetian Bronze New Traditional Pull adds a warm, elegant accent to your kitchen. Enhance your style and complement your surroundings. The pull installs easily with the included hardware. 3 in. New Traditional Pull is rated 4.4 out of 5 by 7. Rated 4 out of 5 by Walter from The hardware is great, but for some reason the holes... The hardware is great, but for some reason the holes are not all the same depth, so I had to cut the old screws so that the handles would be flush with the drawers. Rated 3 out of 5 by Rooster from Inconsistent color or shade Apparently I purchased from 2 or 3 different batches. Not surprising, I believe the product is manufactured in China. I was able to match pulls after comparing and returning those that did not match. Not the worse thing but, rather inconvenient. I would recommend this product with reservations. Rated 5 out of 5 by Lexmom from Looks really great with my Maple Cabinets. Installed these in our new remodeled bathrooms. Will be getting more if available to redo our kitchen cabinets. Rated 4 out of 5 by Housefixer from May need to buy longer screws and cut to size. Fasteners that came with only fit on doors, for the drawers I had to buy longer screws and cut to size.